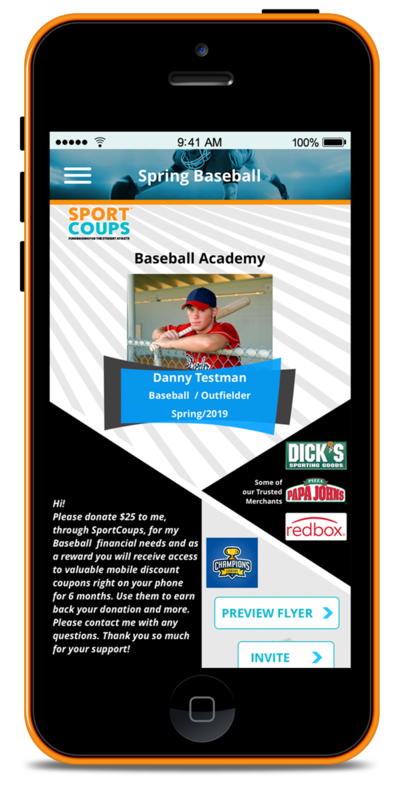 Need to raise money for equipment, user fees, travel expenses or any other sports-related needs? Download the FREE app in the App Store or Google Play. 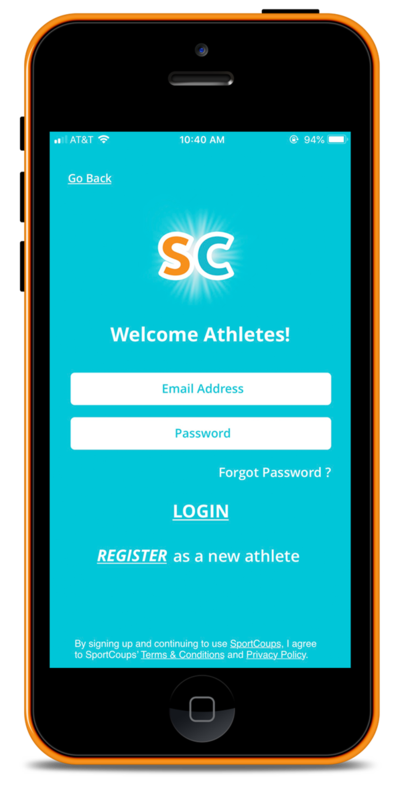 Register as a student athlete in one easy step to get started! 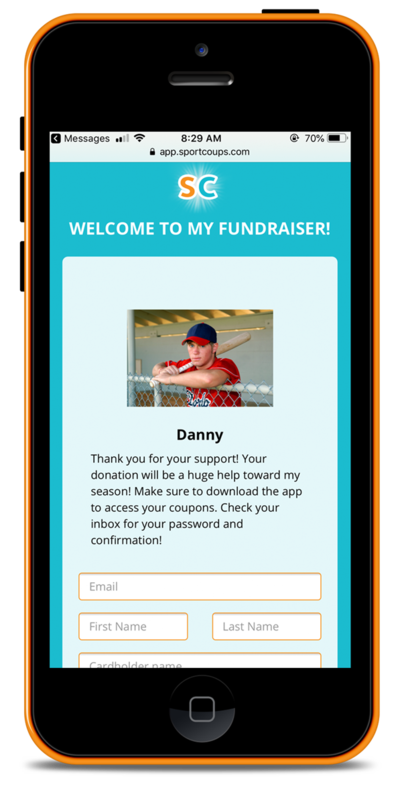 Enter your sports info, including what you are fundraising for and why to create your fundraiser profile. All donations made to your fundraiser go directly into your bank account. Before sending out invites, make sure to connect one. You can use a parent or guardians if needed! 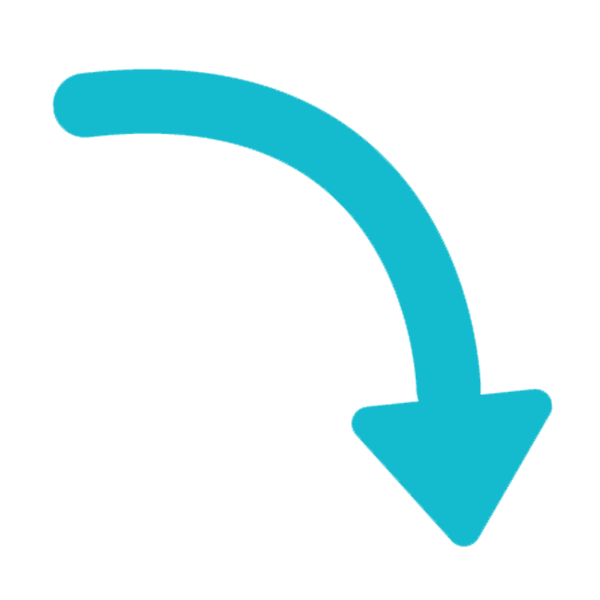 Easily send invites via text, email or social media to anyone you want to donate! Don’t feel guilty about asking for donations… they get rewarded too! 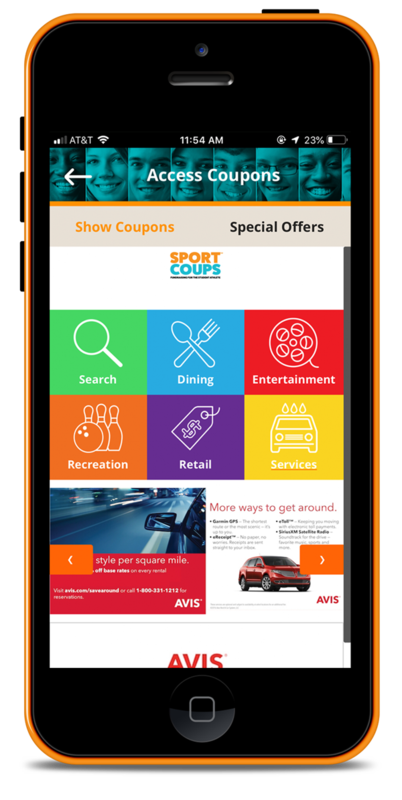 Donors Rewarded with Valuable Coupons! 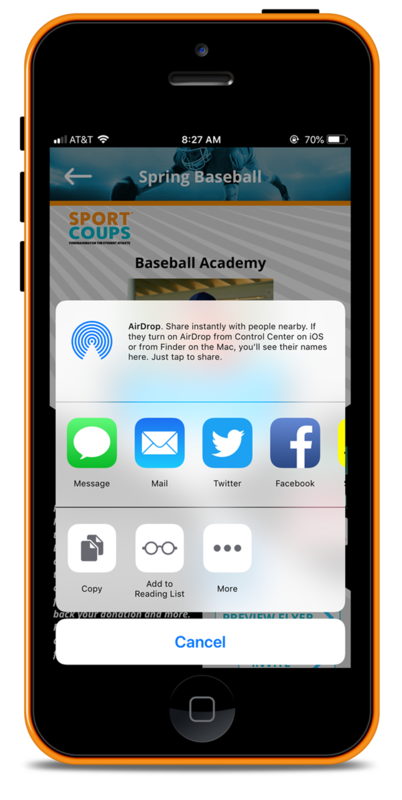 As soon as a donation is made, all donors get access to valuable coupons right from the app. With these coupons, donors will earn back even more than they’re original donation and have access to them for 6 months. 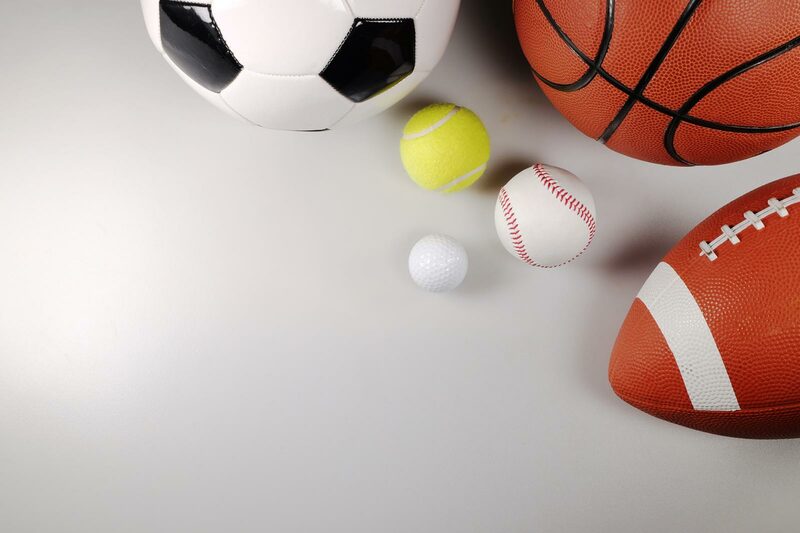 Athletes can easily see who has donated, when, and the totals raised. 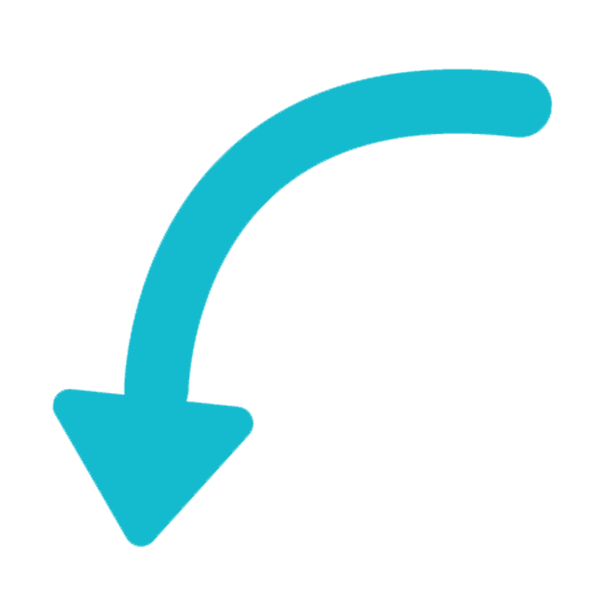 You can easily track everything, send out more invites or make edits to your fundraiser while it’s running. Download the FREE app today and start raising money!